Microsoft Dynamics CRM is our customer relationship management (CRM) solution that enables companies to market smarter, sell effectively and productively, and care everywhere. We provide social insights, business intelligence, and productivity with One Microsoft solutions. And we deliver Microsoft Dynamics CRM in the cloud, on-premises, or with a hybrid combination. efficiency, while helpingto improve customer experience. What can CRM do for my organization? CRM can help reduce costs and increase profitability by organizing and automating business processes that nurture customer relationships and satisfaction across all interactions-marketing, sales, and customer service. CRM solutions can deliver return on investment (ROI) through marketing automation, customer service, and sales force automation. We also offer mobile CRM apps and platforms that enable you to manage your customer relationships on your mobile devices, along with tools that integrate data and reporting from social media directly into your CRM application. Experience intelligent customer engagement Today, the process of engaging customers can't beone-size-fits-all.It needs to be adaptive across all touch points and within the context of who your customer is and what they are doing. Intelligent customer engagement enables your company to build customer trust, loyalty, and insight, while also enabling your sales, service, and marketing professionals to be as productive as possible. 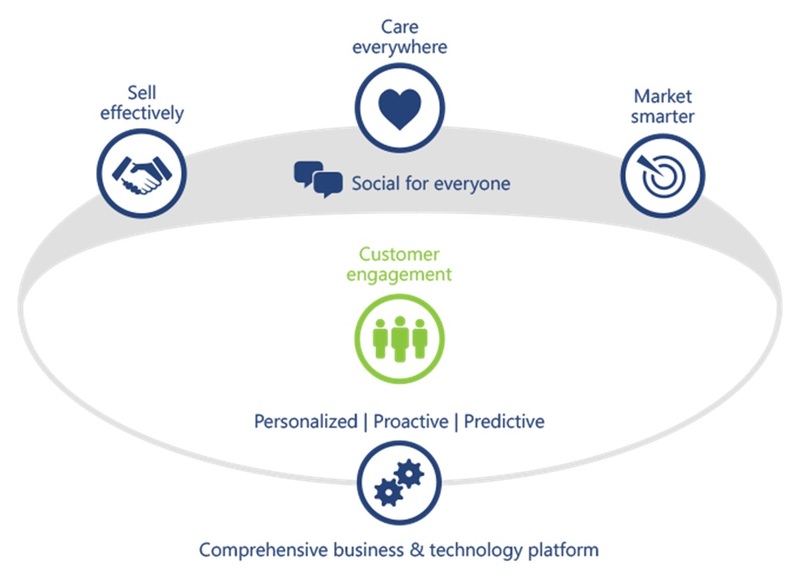 With customer engagement by Microsoft, we help your company deliver exceptional customer experiences. Personalize customer experiences by engaging them at the right time, in the right place, in the right way throughout the journey. Create proactive experiences by determining the next best interaction with your customer based on insights. Make customer engagement predictive by leveraging internal and external data to identify patterns and trends.Apply information to make recommendations or suggestions for how to optimize. We help you make every customer engagement an intelligent one, so you can sell effectively,care everywhere, and market smarter.